The Titralab AT1000 Series laboratory analysis systems are one touch, automatic analyzers, covering both Potentiometric Titration (AT1000 Series) and Karl Fischer volumetric Titration (KF1000 Series) with pre-set methods that can quickly deliver accurate and reliable results straight from the box, allowing anyone in the laboratory to immediately perform accurate and reproducible titrations. 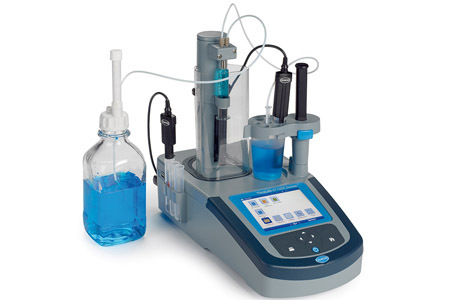 A Titralab 1000 Series system is composed of two elements: The Application Package and the Titrator (AT1000 or KF1000). The Titrator is delivered preassembled for quick setup, and the application package includes all specific elements to make it quick and easy for anyone to set up and operate a test without need for any complex programming. By providing automatic titrations that reduce testing complexity, the Titralab AT1000 Series increase confidence in results and eliminates operator interpretation commonly associated with manual titration.